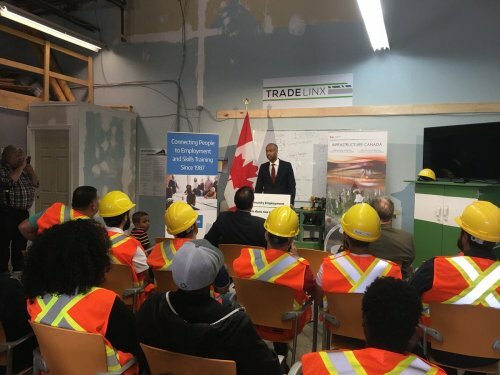 The Honourable Amarjeet Sohi, Minister of Infrastructure and Communities, and the Honourable Ahmed Hussen, Minister of Immigration, Refugees and Citizenship, have announced a new measure aimed at ensuring that when building new infrastructure projects, proponents take into consideration the social and economic impact their project will have on the community and how they can encourage inclusive participation. The Community Employment Benefits requirement will see targets set for major projects to provide training, job opportunities and/or procurement opportunities to a broader array of Canadians. A General Guidance document has been prepared to explain the requirements of the initiative. The new requirement will also see projects providing procurement opportunities for small-to-medium sized and social enterprises. These are businesses operated by a charity or non-profit organization or that are designed around the delivery of social value. For each project over a $10 million threshold (for most jurisdictions), provinces and territories will identify at least three of these target groups to benefit through training, employment or procurement opportunities. Projects are posted on the Investing in Canada Plan Project Map on the Infrastructure Canada website and will indicate when the Community Employment Benefits requirement has been applied. In cases where the requirement cannot be applied, a rationale will be provided. Along with the Investing in Canada plan bilateral agreements being signed between Infrastructure Canada and the provinces and territories, this new requirement also applies to all projects under the recently launched Disaster Mitigation and Adaptation Fund and to all final proposals submitted for consideration to Smart Cities Challenge.